I love the way it presents all these different aspects of the blues, chicago- blues, Mississippi delta- blues, Texas-blues, Jazzy blues and monumental blues jams. It includes cover songs and original composition and the album is put together in a way that feels natural. It was recorded at the Fillmore East concert hall on Friday and Saturday March 12, 1971 and March 13, 1971. 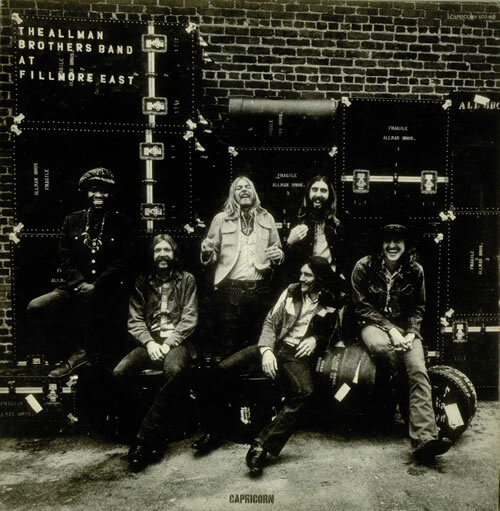 2003 saw the release of a two-disc edition entitled At Fillmore East Deluxe Edition. 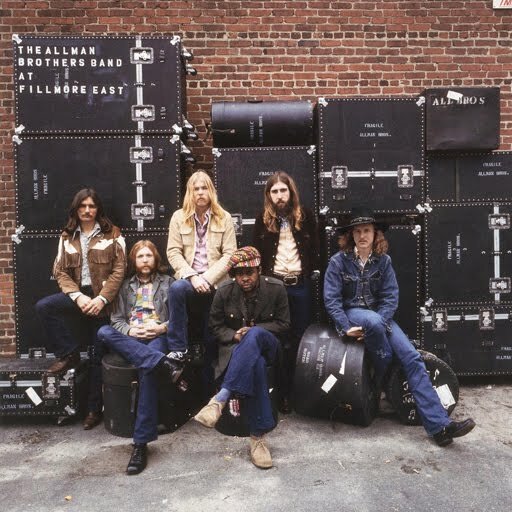 It compiled all the released versions of the Fillmore material, some material from the collection Duane Allman: An Anthology and the Dreams box set, and remixed the material with a better soundstage than the 1992 release. That’s the one to get. I need to include One Way Out from the rlease, The Fillmore Concerts. Just because it is so damn good, and would be a great addition to the original album. 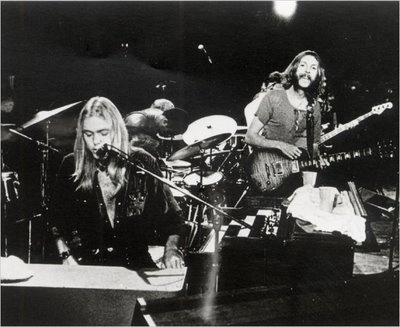 It gives us Duane Allman’s tight slide guitar up against and weaving into Richard Betts’ round and loose lead guitar, it also has Dicky Betts’ best recorded guitar solo. The connection between the two lead guitarists and the two drummers is extraordinary! Also, listen to Barry’s bass lines, incredible, and Greg’s vocals (and jazzy organ) and you have band for the ages. This album is for me, the crowning achievement of the ultimate southern-rock band. We’ve posted this documentary before, but t is so good and give us such insight that everyone should see it again. 18? Just 18? Poor call. Did you just give up on this list? I can’t find anything after 18. As long as you are covering great live albums (and that Allman Brothers at the Fillmore is a stunning masterpiece) you could look into two of Van Morrison’s three live albums: It’s Too Late To Stop Now (1974) and A Night In San Francisco (1994).. and Talking Heads: The Name Of This Band Is Talking Heads. The Talking Heads album is a compilation of their different eras, as they changed musically as they developed and grew.